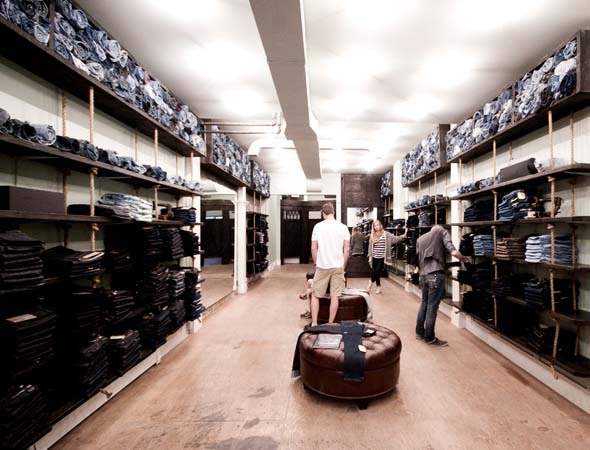 Dutil Denim is denim floor to ceiling, quite literally. 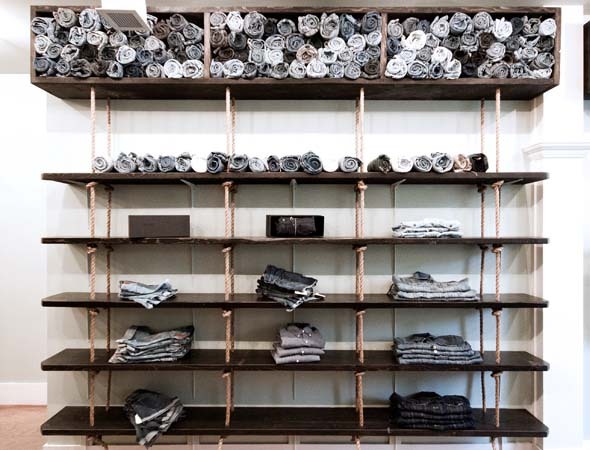 With stacks of jeans, shorts, overalls, shirts, and remnants rolled up near the ceiling, you won't find anything of another creed in this West Queen West boutique. "We wanted to be exclusively denim," co-owner Darrin Kenigsberg tells me as I check out the space a day before it's set to open. "It's a commodity no one focuses on exclusively, so we wanted to do that." 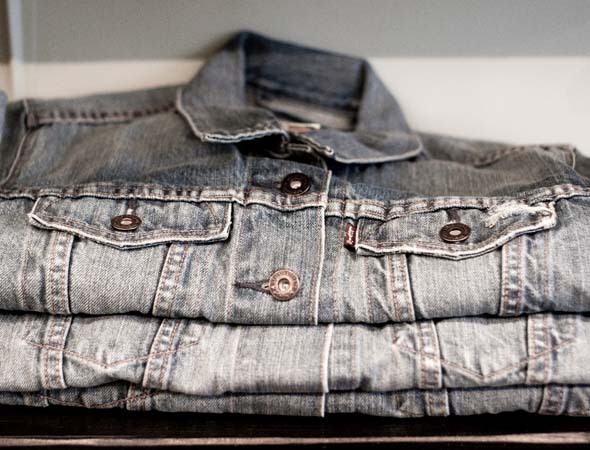 Darrin and his business partner, Eric Dickstein, opened the first Dutil Denim in Vancouver in 2006. Focusing initially on selling and building brands such as Domino, Acne, and Naked & Famous, the pair later decided to develop their own brand, named "The Quintessential Series" in 2010. 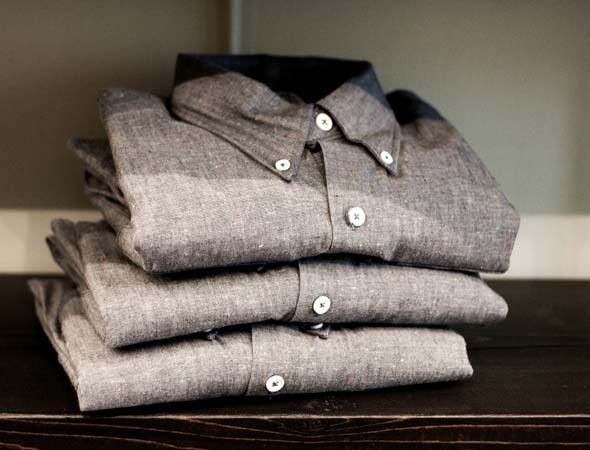 Now, the entire collection is available at Dutil's second location on Queen St. in Toronto. "This was the only place I wanted to open," Darrin says, referring to West Queen West. And having lived in Toronto, he knows the area. 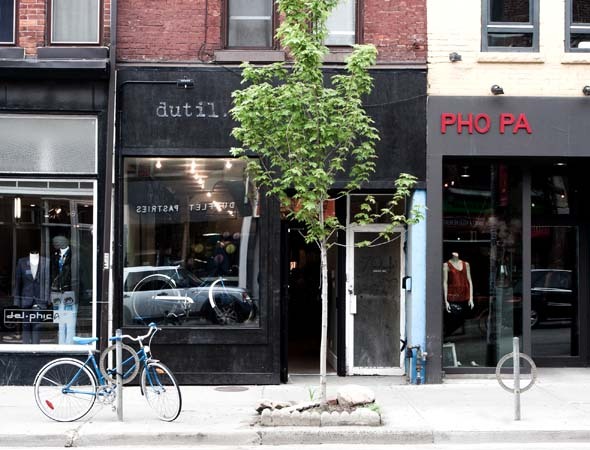 "There's a good mix of traffic; we're right by Dufflet , and lots of other really great places." Of course, he makes one distinction. "We want to be a friendly place, though," he says. 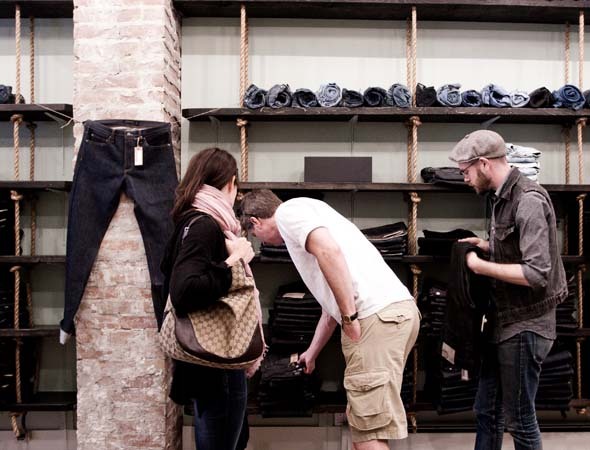 "We're totally against stores where they don't even say 'hi' when you walk in the door." The shop does have a very relaxed feel, with scuffed-up plywood floors ("If the painters spilled on it, we were like 'whatever. '"), hanging rope shelves, and barn door dressing rooms. 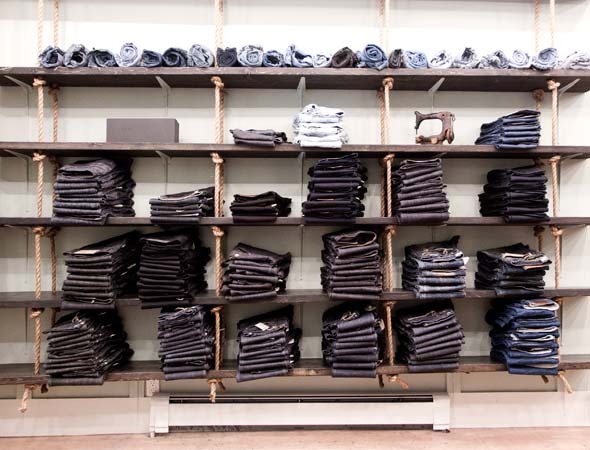 It's also a sea of dark denim, with little fade to be found. 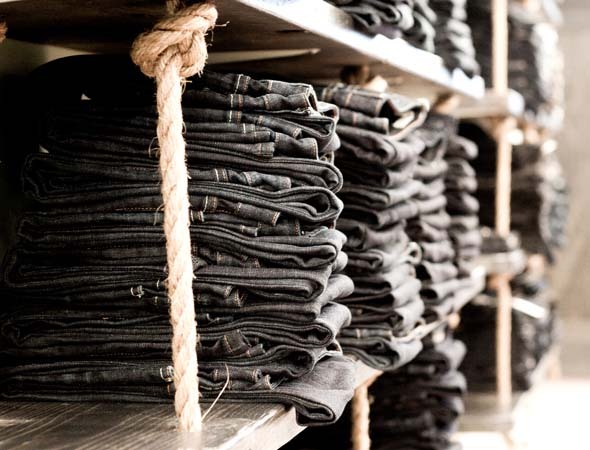 "We wanted our jeans to be natural, simple, and well-constructed," Darrin says. So, thankfully, there are no rhinestone apples or any other sort of decals found here. The Quintessential Series is the signature collection sold here, right now offering two styles of men's ($258) and two styles of women's ($238), which includes the "Quintessential Slim-Straight" for men and the "Quintessential Skinny" for women, designed in Vancouver and constructed in L.A.
Darrin then shows me that some of the Quintessential men's (and soon to be women's) jeans are outfitted with a sterling silver hoop, dubbed the "halo." "It's great," he says, "because it's a place to keep your glasses when you're not wearing them." The Halo does tack an extra $40 onto the price tag, so I'd personally be more inclined to just using my head. Speaking of which, no denim hats yet, but we'll see what a little persuasion can do.